Chartered physiotherapy clinic in the heart of the Fylde coast. For preventative or rehabilitative plans, book an appointment. Tap into the most up to date sports medicine treatment and rehabilitation that up to now, only Premier league footballers have had access to. From trigger point needling to gait running analysis, our physiotherapists tailor your treatment to you. Fast access to private physiotherapy at a convenient location in Blackpool, just minutes from the M55 motorway. We’re certified by the CSP, MACP and HCPC, so you can be confident in our recommendations. Jam Physio is a Blackpool-based physiotherapy practice, founded by respected physiotherapist James Murphy (BSC Hons, M.M.A.C.P, H.C.P, S.R.P) to provide the people of the Fylde coast with the kinds of treatments and rehabilitation usually only available to elite athletes. A regular spokesperson for physiotherapy, James drew upon his extensive experience in treating premier league footballers when founding Jam Physio. From working under Sam Allerdyce at Bolton Wanderers, he followed Sam to Newcastle United, before heading up the sports medicine and science department at Manchester City. He then crossed the Atlantic to take up the position of Performance Director with the New York Red Bulls, opening doors to working with athletes in the NFL, NBA and Formula 1. All this experience has culminated in the birth of Jam Physio, making high quality physiotherapy ever more accessible to patients in Lancashire. We only recruit the best skilled, chartered and fully regulated physiotherapists. Our exacting standards mean that they will go the extra mile to ensure you make a quick, safe and effective recovery. We believe healthcare should be easy to access, with low waiting times for appointments. Located just minutes from the M55 in Blackpool, we offer a convenient, seamless and professional experience. Recognised by all the major private medical insurers, we regularly work with patients from Vitality Health, Aviva and BUPA, amongst others. We’re also part of the Nuffield Fusion network. Our self-pay physiotherapy services have become increasingly popular as it provides clients with immediate access to effective treatment with anchartered Physiotherapist. 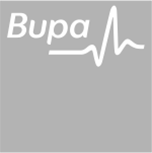 We are recongnised by all major private medical insurers including Vitality Health, Aviva and BUPA. We are also part of the Nuffield Fusion network and accept corporate policies. See why Ben Smith considers Jamie and Jam Physio as the people that saved The 401 Challenge! Jamie was sat with me when the ankle specialist shattered my dreams of playing in the World Cup 2010 for England. Jamie did not accept the prognosis and told me I would make the World Cup. After employing all the latest sports medicine techniques and rehabilitation strategies, I made the World Cup 2010. Thanks Murph for allowing me to live my boyhood dream. I have worked with James in a professional capacity for approaching 10 years and he has been involved in the rehabilitation of many of my patients. I also worked closely with him when he was a physiotherapist at Manchester City Football Club. He has always shown great dedication to his patients ensuring that they have optimal physiotherapy – achieving excellent results post-operatively but also enabling surgery to be avoided following complex ankle injuries. James has an excellent knowledge base with regards to sports’ injuries of the foot and ankle and I look forward to working with him in the future – I would have no hesitation in recommending a member of my family to see him were they to sustain a sports’ injury to the foot and ankle. Simply put Jamie is special, one in a million, a rare find! I came across Jamie as a referral from another therapist during my challenge. I had severe issues with my back and the challenge was in real jeopardy if I didn’t sort it out. Jamie worked with me for 10 days, accessing every aspect of my injury, treating me as an individual case and to put it bluntly, cured what most couldn’t have. I learnt a lot from Jamie about my issue and ways in which to prevent it from happening again. I was back running back to back marathons 10 days after my injury and this is because of this amazing man. Jamie, thank you, you will always be remembered as the guy that saved The 401 Challenge! Great physio, very dedicated and hard working. Very approachable, and from a players point of view all the dressing room spoke highly of him. I have known Jamie personally for over 6 years and worked along side him at New York Red Bulls, where he was Performance Director. He is an excellent physio, one of the best I have worked with. I have had the good fortune to have worked with Jamie since he was a physiotherapist at Bolton FC thence Newcastle United FC, Manchester City FC and during his period at the New York Red Bulls. As well as dealing with the elite footballers at these clubs, I also dealt with a number of patients Jamie was treating at his private practice JAM Physio in Blackpool. Throughout our long relationship, Jamie has provided the highest quality physiotherapy in terms of diagnosis, treatment planning and case discussion with me. His rehabilitation following surgery is superb.